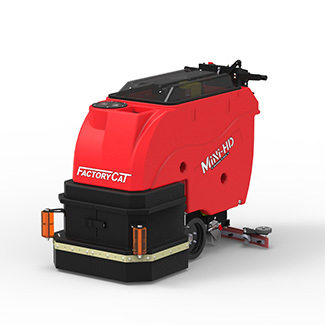 FactoryCat's Mini-HD Floor Scrubber Dryer is known for its simple design and durable construction, offering unmatched value for the customer. 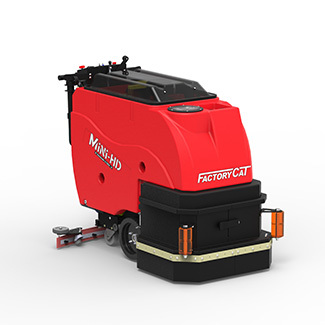 The Mini-HD Walk Behind Floor Scrubber comes equipped with a Traction drive which includes a powerful all-gear transaxle for climbing ramps and max operator ease. Productivity: Up to 27,027 Sq. Ft. 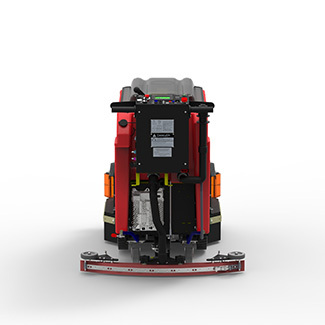 The Central Command II systems on all of our Walk-Behind machines include: a LCD readout, on-board machine diagnostics, and 3 different hour meters. Also, if machine batteries become too discharged, the GTX automatically shut down all systems except "transport", enabling the operator to still make it back to the charge station. 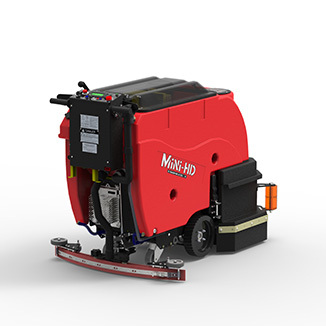 The Mini-HD is available in a disk or a dual-motor cylindrical version. Disk scrub heads are popular in most applications where general cleaning is a concern. Cylindrical scrub heads are great when small debris is a concern as well as grouted tile lines. 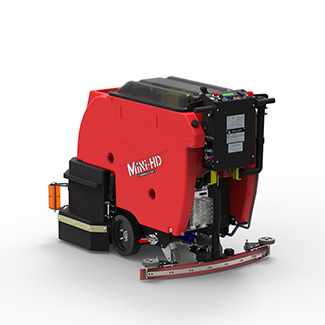 The Mini-HD Walk Behind Floor Scrubber comes equipped with a Traction drive which includes a powerful all-gear transaxle for climbing ramps and max operator ease.